I’ll admit chocolate is one of my weaknesses. It is sweet, rich and creamy so what is there not to love? The belief that eating chocolate can make you fat may not necessarily be true according to Beatrice Golomb, MD, PhD, associate professor in the Department of Medicine at the University of California, San Diego, and her colleagues. The researchers believed that regular chocolate consumption might be calorie neutral. That is if you eat moderate amounts of chocolate on a regular basis it might lead to reduced fat deposition per calorie and approximately offset the added calories. To test this hypothisis, they examined the diets of approximately 1000 adult men and women from San Diego, for whom weight and height had been measured. They concluded that adults who ate chocolate on more days a week had a lower body mass index – in other words they were thinner. These people did not reduce their calorie intake nor did they exercise more than the adults who ate less chocolate. 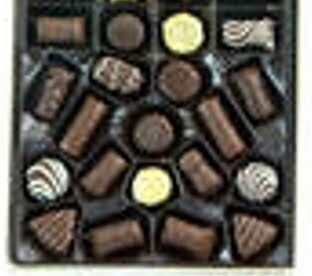 In fact some of the chocolate eaters consumed more calories but they were still thinner. This study just reminds me that I need to pay more attention to where my calories are coming from and not just how many calories I consume per day. For chocolate lovers like myself, go ahead and eat that candy bar sitting in your freezer! I was very glad to read this right as I was munching on my daily fix of m&m's at work. A few a day solve my sweet tooth problem and now I won't feel as guilty!